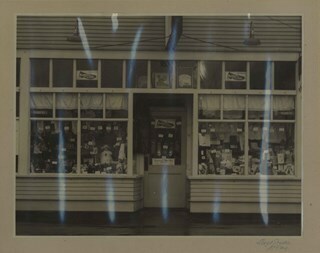 Photograph of the Pitman's dry goods store, 3968 Kingsway Avenue (later renumbered 4600 Kingsway) at McKay Avenue. They also later operated a store on Jubilee Avenue. The McKay Avenue store ceased operations in the 1950s and the Jubilee Avenue store in 1971. (The scan has picked up glare off of the glass on the photograph's frame). 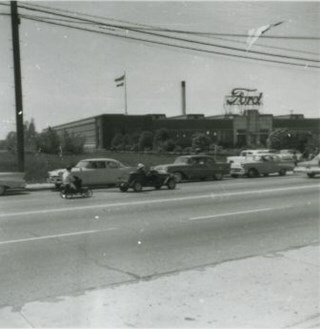 Photographer's signature written in pencil on recto of mat reads: "Lloyd Studio./ McKay."